W ord has begun to spread that Lord Varro is preparing House Varro for a large undertaking. 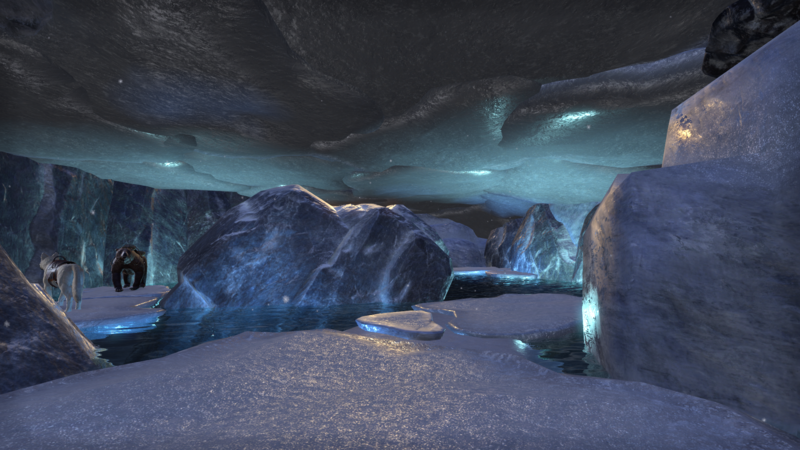 Details about the undertaking are vague, but word has it that House Varro is gathering supplies and hiring workers to help execute a large-scale expedition far to the north. One guard overheard a discussion about ships, ore, and a "mining colony." Expedition Quartermaster - You will be the person responsible for providing quarters, rations, clothing, and other logistical supplies for the expedition. Expedition Liaison and Stewards - A steward who communicates and facilitates a close working relationship between the expedition, the House staff, and its Lord.They will also look after the passengers of the trip by bringing them meals, looking after property, and running tasks. Expedition Sellswords - Mercenaries or conscripts looking to contract their sword on a temporary basis for House Varro, with a potential for permanent employment at the conclusion of the arrangement. This is the teaser for the upcoming chapter of House Varro's guild story. We are using this as a opportunity to hire external characters and get them involved in the expedition before it begins. This will be a dynamic plot, from which many subplots will organically grow. Our recruitment will be open for this guild story for a temporary window. We decided to do this to create a unique angle for ultimately hooking in and joining the guild, even if it is only seasonal, we would want you to be involved for the duration of the story, which will last several months. Please visit www.housevarro.enjin.com to learn more about us, or visit our thread here. I have a weakness for two things: travel RP and survivalist RP. I used to run with a small group of people in another game where we did IC expeditions like this and rolled for hunger and weather and stuff like that. This reminds me of those times. I'm not sure how involved I can get with mah busy schedule, but perhaps I will get at least a toe or a pinky in there. Great idea! And oh, the picture you chose draws me in! Great choice! 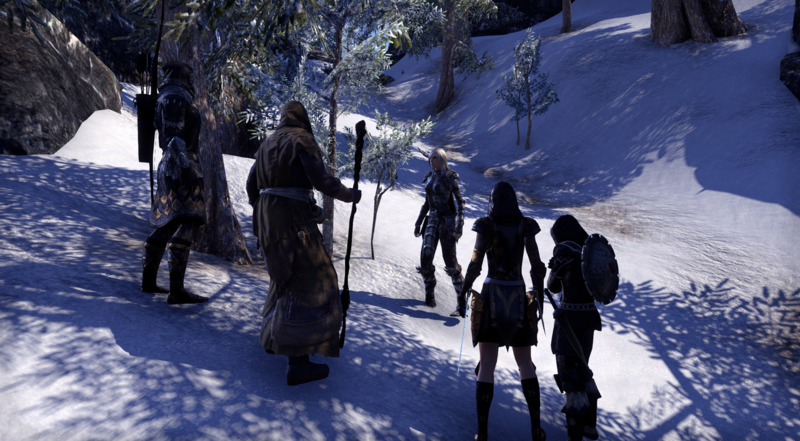 A week had passed since the scouting party -- comprised of Cyreas Vanrette, Constanzo Vendicci, Marcia Visellia, and Aliver the Frost -- departed the Varro estate for the northern reaches of Skyrim. 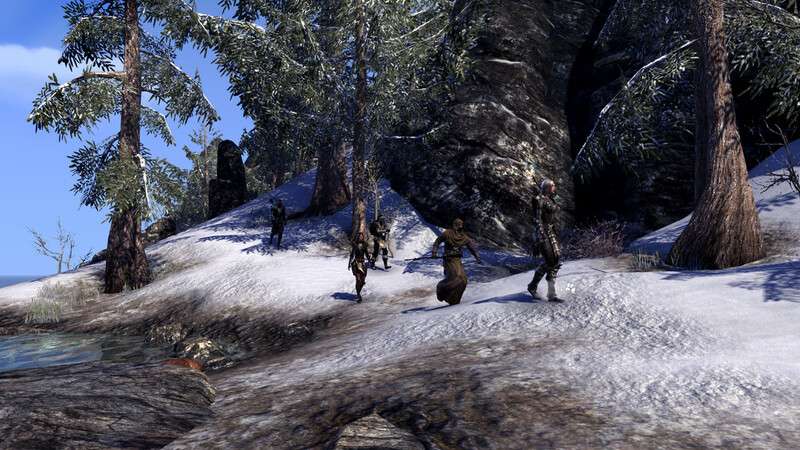 The trip had been swift and rather uneventful for the four selected to venture north toward Solstheim. Lord Varro had asked that they waste no time in their travel. So seriously did they take his command that the four of them packed lightly and moved the distance twice as fast as most normal migrants. Upon their arrival to the shores of the Sea of Ghosts, passage across the waterway had been arranged with a gruff and rather sociopathic Colovian who spoke not a word to any of them on the journey. They’d been forced to sleep in the same cabin together, along with an old sea dog that was so old that it had begun to smell like it were rotting from within. They had only one window in their cabin, and through this they could see the stars bright like needlepoints in a black canvas. Beyond that sea of black they could witness the ministrations of the northern lights, which danced like rainbow ribbons above the world. At night they were lowered into the water within a small rowboat, and left to fend for themselves. As they rowed they could not see. Just breath and fog and water black. And as they rowed they felt the wind. All around them loomed a heavy murk that clung to the world like some tangible glaucoma. It was heavy and cold and the aura of it made their bones ache and their muscles stiffen. Onward they rowed until there before them materialized the ominous shore of the land called Solstheim. They stopped rowing. In a still eddy of blackwater they lurked. Quiet all around. A chill in the air. Wisps of snow falling dreamlike in the veil. They could only see a few feet beyond the shoreline. It waited for them like tapestry of muddy gloss. In the distance came another howl. The fog of the sea peeled away the moment they stepped onto that mythical land. 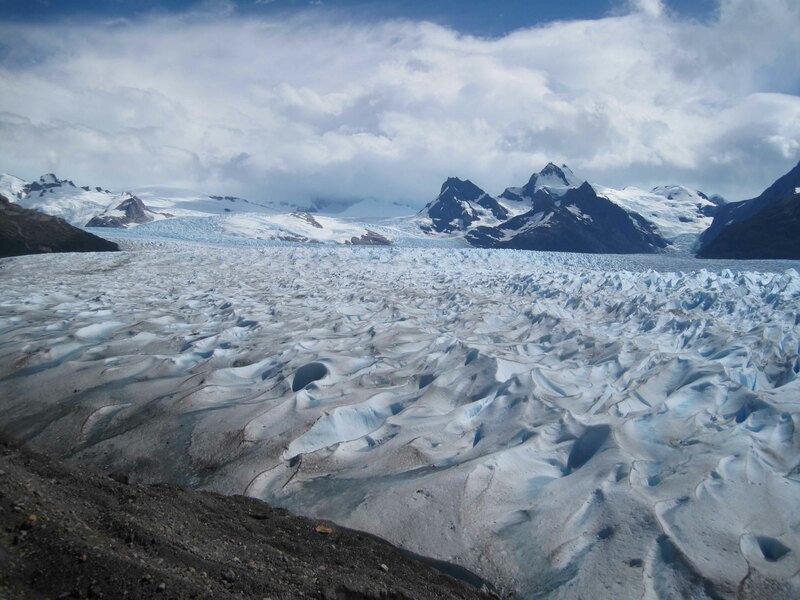 It seemed to exude an ancient kind of presence: the deep-packed snow, the untouched shoreline, the huge black eskers of rock that jutted out of the earth like scions of some distant genesis. For now, everything around them had gone quiet. Over their shoulders, they caught one final glimpse of that rickety Colovian vessel that had set them ashore. And then, like a ghost, it drifted away from sight. Before them was an open world of brooding inhospitality. Several more steps into the upland found them in knee-deep snow. It was here, however, beside a bluff of rock, that a gust of wind kicked up the fresh-fallen film that had coated everything. A swirl of white engulfed them, and with it, a terrible cold. When the snow squall finally settled, they found standing before them the tall and powerful form of a wolf three sizes too big. It was as white as the snow around them, with eyes as blue as gems. It watched them from two arm-lengths away. Sniffed. Then it took a small, curious step forward. Then another. The party considered killing the wolf, but before they could, a shout stopped them. It came from the uplands. Stepping out of the snow was a woman clad in furs and bones. She barked at them in a strange language and aimed her bow, but Aliver established a primitive communication with her, and put her at ease. He explained to the other scouts that this woman was in fact a Skaal -- a primitive savage who inhabited the island. 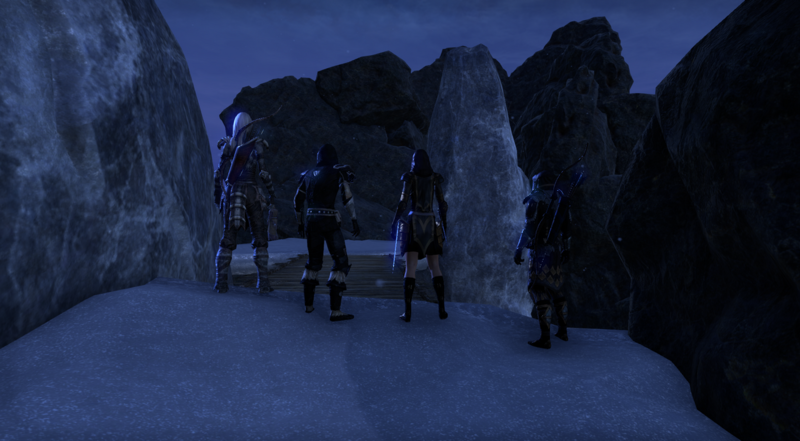 A crude discussion ensued, with the group trying to ascertain the location of an alleged mine that had been abandoned on the island of Solstheim. The Skaal initially declined to help them, but after some convincing, she pointed off to the distance where a huge mountain peak loomed on the horizon. She implored them not to go to the mountain, and kept saying the word "Hornik" over and over, but they insisted. She explained to Aliver that the place was infested with ice goblins, or Rieklings, and they should not attempt to cross the waterway that kept it and those creatures separated from the island proper. 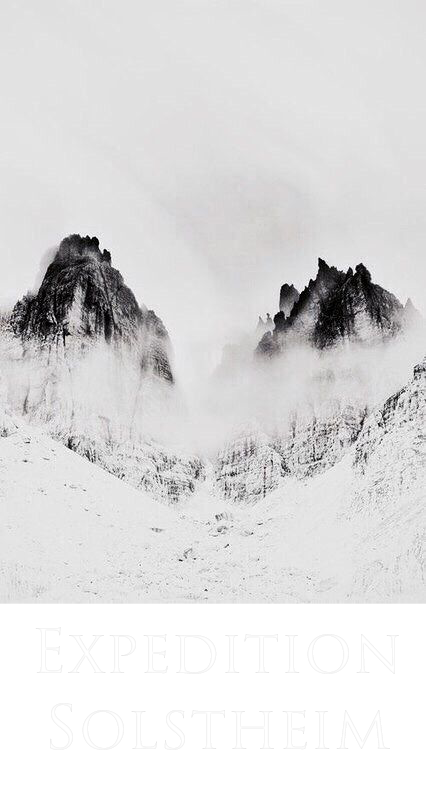 She guided them instead to a treacherous water crossing covered in shards of ice. The party attempted to cross the ice quickly, with Aliver securing the opposite bank first. Marcia, Cyreas, and Constanzo, however, did not prove so lucky. 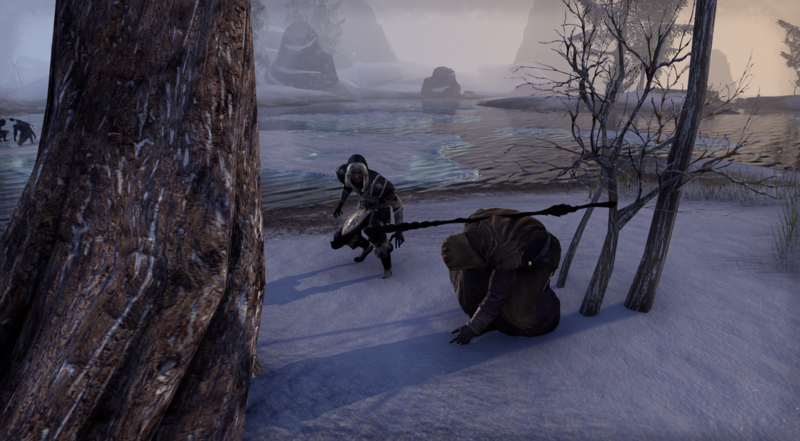 They fell into the water again and again, and were it not for the assistance of the Skaal and Aliver, it is likely that the group would have perished in that frigid cold. With hypothermia setting in, they quickly gathered kindling wood and moved to a safer location to build a fire. 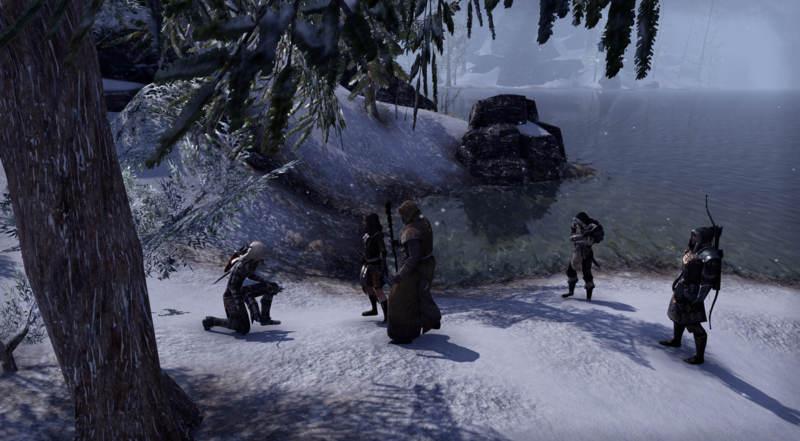 The skaal instructed them to remove their clothes and warm their bones. 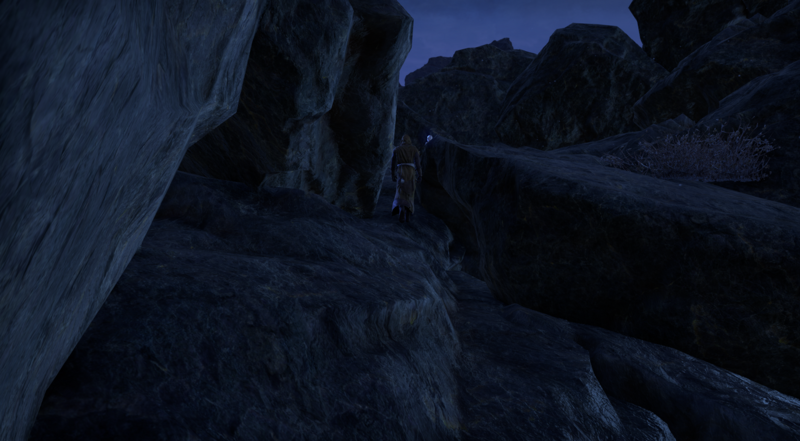 Aliver followed the skaal higher up into the mountain pass to investigate the opening of the cave. 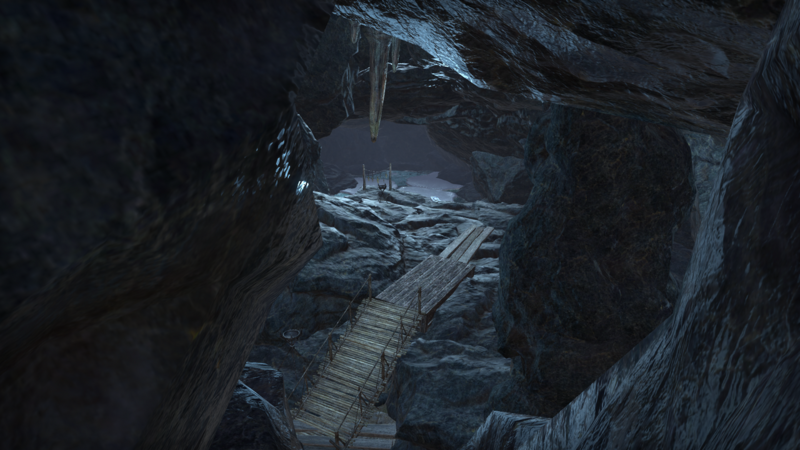 At the top of the mountain pass, they came to a dangerous bridge, which the skaal refused to cross. She insisted the mine was on the other side. 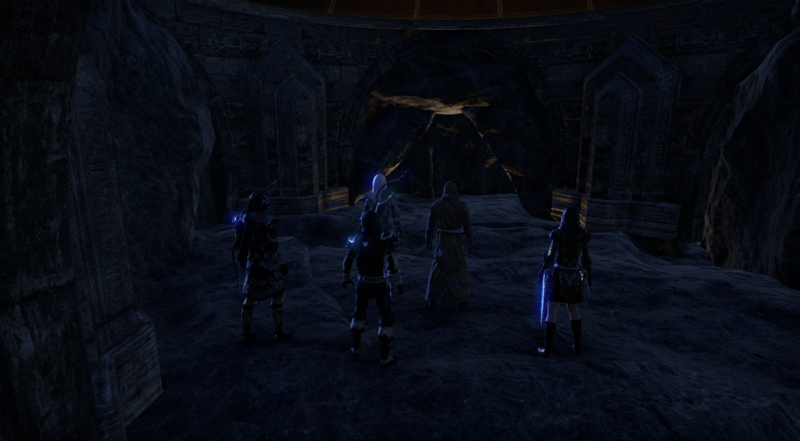 However, the party learned that it was a dead end, and no such mine could be found. A argument ensued about what to do next, and that is when a pair of Rieklings could be heard climbing up the path, as well. The skaal insisted that everyone hide, which they did, with success. They saw the Rieklings pass by, but instead of taking the bridge, they climbed down the rocks into the chasm below, and disappeared. The party followed the path of the Rieklings and came to a narrow pass of rock. The narrow pass proved true. It opened suddenly into a work of masonry that was the first true sign of civilization they had seen in days. And there, looming at the far end of it, appeared to be the entrance to the mine. The skaal said one word and pointed at it, trembling: "Hornik." Inside the cave the air smelled old. They stepped over discarded bones and goblin filth. Deeper they climbed by light of a torch until at last they came to portion of the shaft that had been caved in. They could not achieve deeper access. 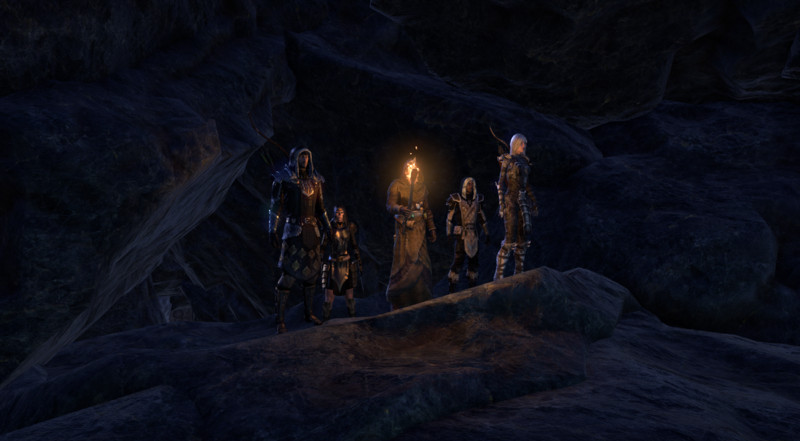 However, a small opening presented a glimpse to the vast cavern beyond, and it was there that they could see the vast deposits of Ebon ore imbued in the heart of the mountain. Like glimmering veins of ethereal rock in a sea of onyx-stoned black. 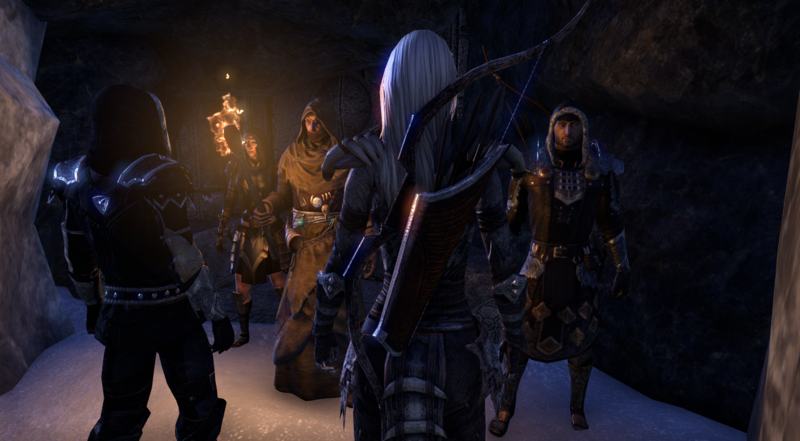 The group briefly discussed what to do with the Skaal, with half of the party inclined to kill her now that she knew of this location, and what it held. Marcia Visellia, however, overruled the others, and the skaal was spared. None-the-wiser, the skaal assisted the party in collecting samples of the Ebon ore, then helped them climb out and get back to their ship before more Rieklings returned. The investigation was a success, and the full expedition was not about to begin.  Preparations for the Solstheim Expedition are well under way. We have built several large homesteads that we will be using for a variety of roleplay events and scenarios. The focus of this expedition is geared toward survival and exploration, and after the kick-off event, the guild is very excited to move forward with it. That said, once we head to the north, the player characters are largely going to be unavailable to the community at large, as we fully expect the ‘travel’ portion of this expedition to last 3-4 weeks through the Rift, Skyrim, and across the Sea of Ghosts. Additionally, if you would like to be involved but cannot commit a character to the guild, I do have a need for players to make Skaals and Rieklings. Skaals can simply be Nord characters dressed in winter attire, whereas Rieklings, I am looking for folks who have the Goblin polymorph. These are not red shirts, but orange shirts, and they will have a significant part to play in the plot, and there is even potential for some of the Skaals to become integral parts of House Varro depending on how this story goes! There are many possibilities, and we are treating this plot to be extremely dynamic. If you have questions, please post below or send me a PM!